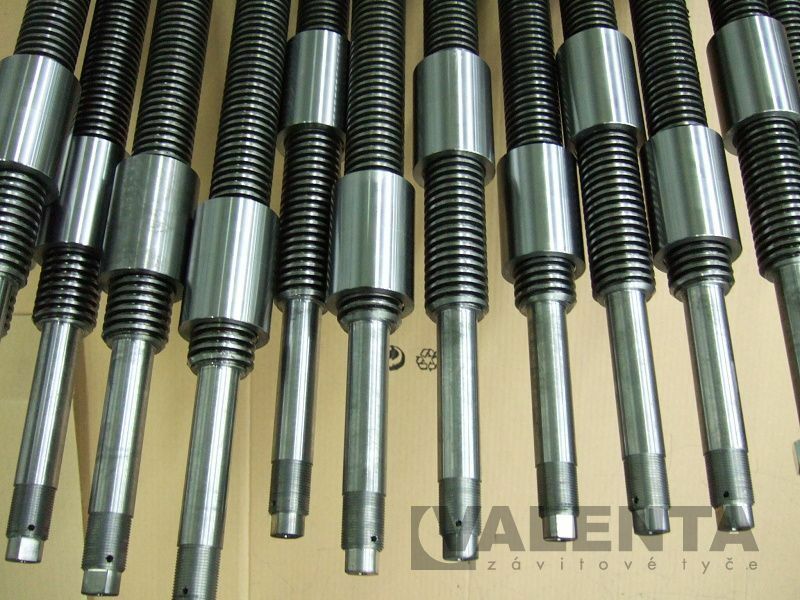 Shafts - trapezoidal bolts - Valenta ZT s.r.o. 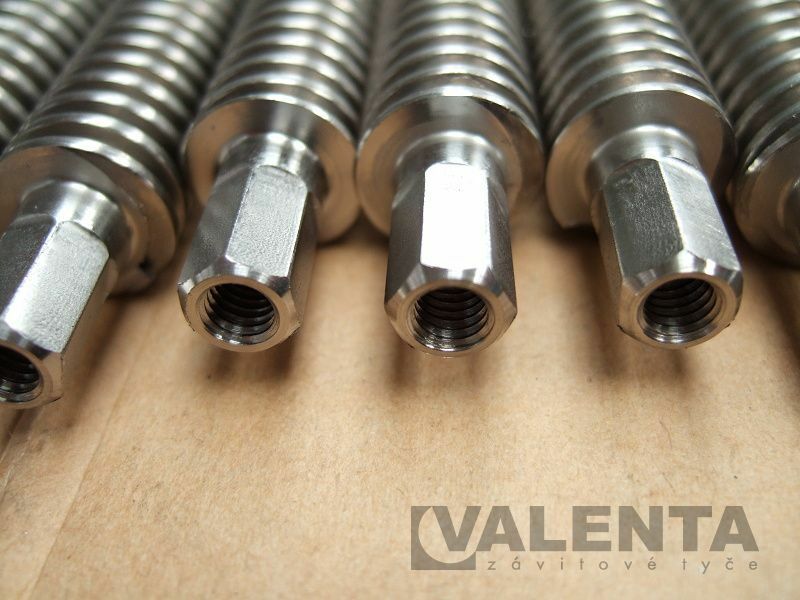 Besides common bolts with trapezoidal thread (most often isosceles) we also engage in the custom production of atypical lengths, diameters and dimensions. We are also able to manufacture various types of pitch, varying for example in the number and direction of running. We are able to produce it in various tolerances. For trapezoidal bolts we are able to supply or manufacture trapezoidal nuts upon customer request. 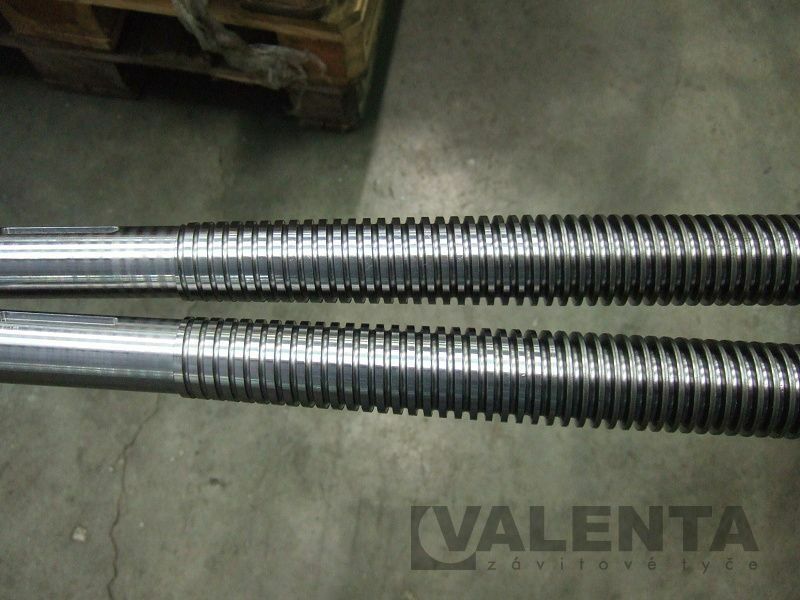 The most common material used for the production of rolled trapezoidal bolts is non-alloy high-grade steel for case hardening C15 (also known as steel ČSN 12020/W.Nr. 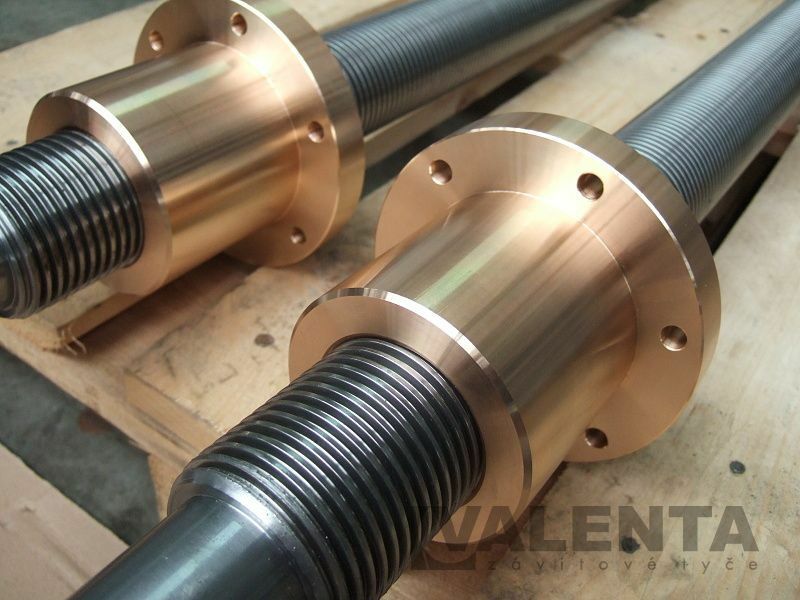 1.1141), another frequently used and customer favourite material is non-alloy structural steel S355J0 (ČSN 11523/W.Nr. 1.0553). 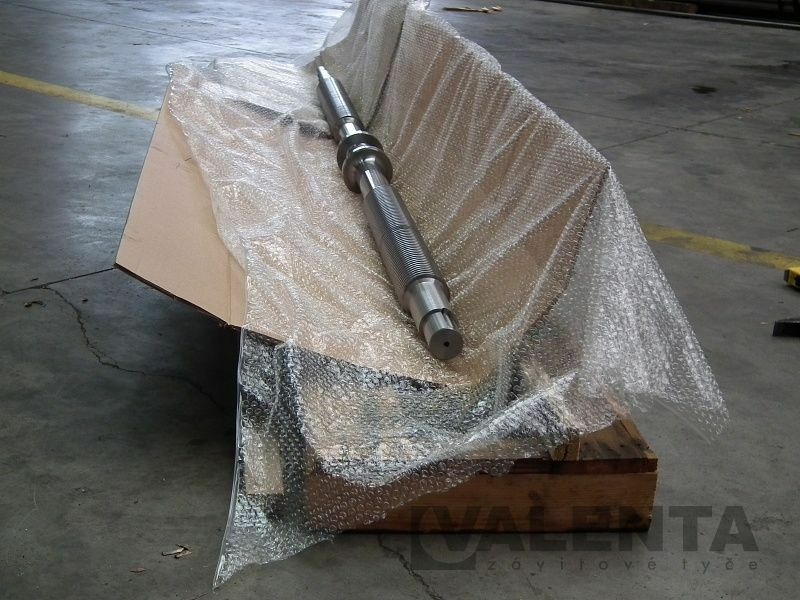 Another considerable group includes corrosion-proof and stainless materials, of which the most important are austenitic steels of Grade A2 (ČSN 17240/W.Nr. 1.4301/AISI 304) and A4 (ČSN 17346/W.Nr. 1.4401/AISI 316). Additional materials at your request. For requests and technical queries on the production of trapezoidal rods, please contact us in REQUEST section or by phone – we will be glad to help you.